Out of stock since Thursday, 18 April 2019. Due back soon. 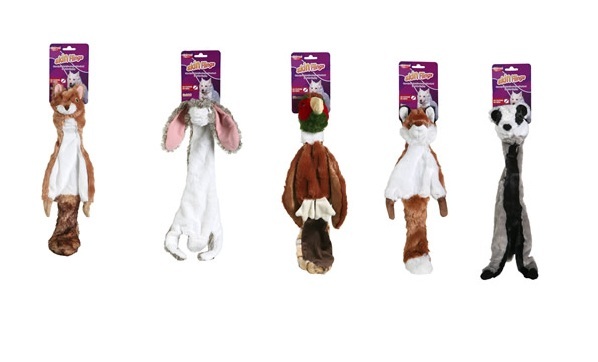 The Animal Instincts SkinFling range of dog toys are fun, unstuffed toys that work as well as a play thing as something they can cuddle up to and relax. Each toy contains a squeaker will help to keep your dog's interest. Below are some recent questions we've received regarding Animal Instincts SkinFling Dog Toy, including answers from our team. Thank you for your question, the length of the large is approximately 60cm in length and the extra large is 80cm in length.